Showing 9 articles from June 2, 2015. SOUTH BEND - Some might say that when the mayor is away the city council plays - but that does not hold true for the South Bend City Council. The Washington Interscholastic Basketball Coaches Association selected eight new members to their Hall of Fame. SOUTH BEND - Momentum Investments has come to South Bend and is looking to make a change for the future. Cathy R. Porter (now Dillman), 44, formerly of South Bend, was sentence following her guilty plea to one count of second degree theft (her entered her guilty plea on 4/24/15 and was sentenced today, 5/8/15. The action took place in Pacific County Superior Friday afternoon. The Raymond Schools Foundation will be awarding Delores Soule Fund Scholarships. Are there any easier alternatives to a colonoscopy to check for colon cancer? I'm in my sixties and would like to be tested, but hate the idea of drinking all that laxative solution, and being sedated for the procedure. The parking lot out at the Growers Outlet was very busy as locals and travelers stopped in for the official Grand Opening for the latest Recreational Marijuana Store in South Bend. The project that took several months is now out in the public as students are out helping hang signs to give the streets back their names. 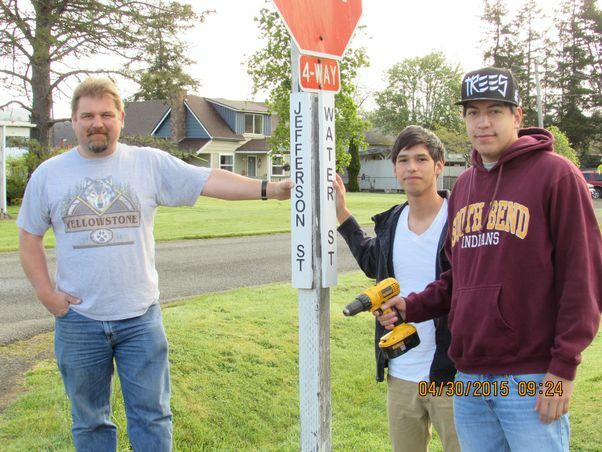 Here is Ryan McMurry, Tristan Hansen and Fernando Mena, out with the new signs. The Pacific County PUD met on Tuesday, May 5 for their regular bi-monthly meeting. To start the meeting after the pledge of allegiance, commissioner Diana Thompson first excused Commissioner Hatfield from the meeting. 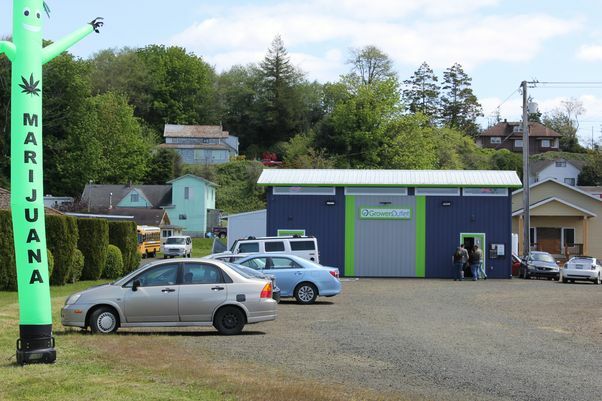 Thompson then introduced a man named Mark Reddemann, the CEO of Energy Northwest, who has gone on a tour of the state to give an update on their company to the PUD's.